Lazy Kenneth will help those who don’t know how to use, or are too lazy to use sidechain to handle heavy basslines that collide with the bass drum in 4/4 music. That is music where you put a bass drum on all fours, techno, house, trance, minimal, tribal and so on. Put Lazy Kenneth on the bassline track and it will automatically duck the signal when the bass drum hits. 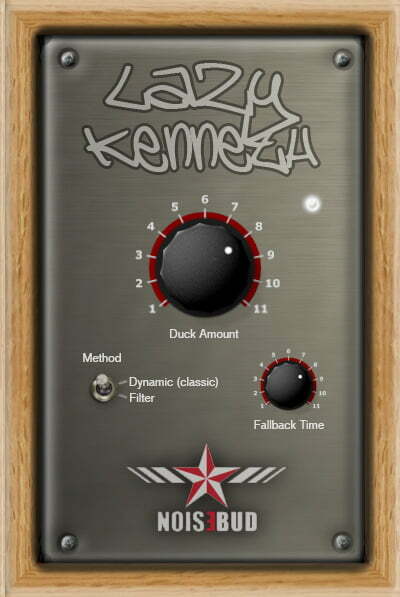 You could place a LK on all tracks except the bass drum for some real heavy pumping effect. After too many 4/4 mastering assignments with bad mixes due to too busy low frequencies Johannes created this plugin for all our clients that mix with a PC.